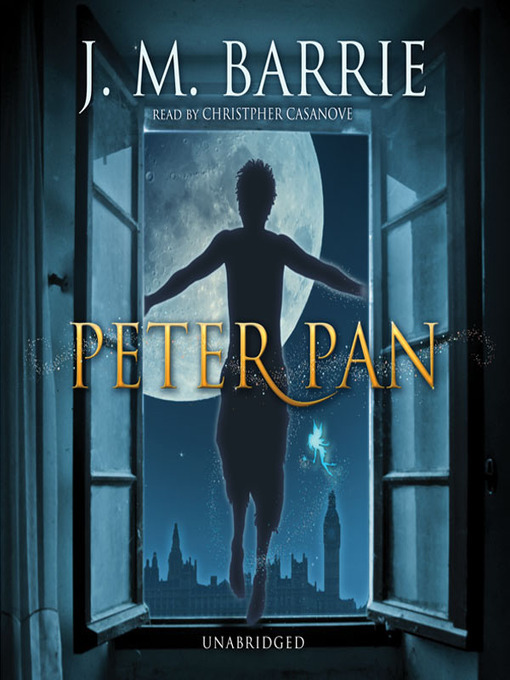 Barrie works an indisputable magic on listeners of all ages in this classic tale of the "boy who wouldn't grow up." As a baby, Peter Pan fell out of his carriage and was taken by fairies to Neverland. There, he can fly and is the champion of the Lost Boys and a friend to the fairy Tinker Bell. Revisiting England, Peter becomes involved with Wendy Darling and her younger brothers, all of whom accompany Peter to Neverland. The children have many adventures and vanquish the pirate Captain Hook. The Darlings eventually return home with the Lost Boys, leaving Peter Pan to his perpetual boyhood.